As we are just a few days away from the most awaited domestic tournament of Nepal, Everest Premier League. It is not just a league, it is a belief and future of Nepali cricket scenario. It is a source of hope in bad patches of Nepali cricket. Rather than regretting the past, a big opportunity may be right where we are right now. We have the sense to realize that a single idea can change the way we think, the way we feel, and the way we live, this tournament may be one of those moments when we have the ability to influence the future. 1. The financial aspect Nepalese domestic cricketers are among the lowest paid cricketers in the world. – Many of them aren’t an even professional cricketer. They used to have cricketing passion but they are forced to keep cricket as their interest or hobby. They are compelled to get engaged in other money making profession despite having cricketing passion, just because domestic cricket in Nepal will not even help them to skim one time meal a day. The money involved with an EPL contract will motivate the youngsters toiling away in the Nepal domestic scene. It will push them to work harder, in hopes of obtaining a contract. It will help youngsters to show something to the one who used to troll them with the censure of cricket will earn you nothing. The only way to be financially convinced for the cricketer in Nepal is by being on the national side, but domestic play will have this by playing EPL. A lot of the cricketers of Nepal are from underprivileged backgrounds. The additional money gained by the cricketers due to this league can be used on purchasing enhanced cricketing equipment and paying for dieticians and nutritionists. 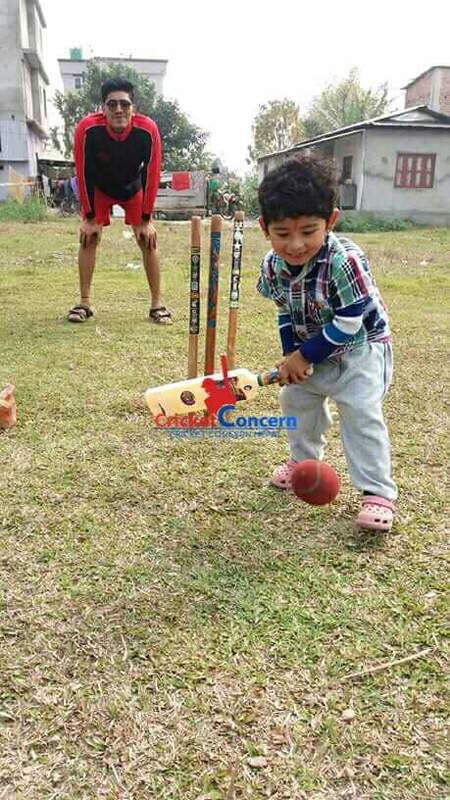 – Many youngsters of Nepal used to have great passion and inquisitiveness to be a cricketer in future. They used to play cricket continuously till the 10th standard in local level competition. But many people even his family and relatives will start to troll them for having sporty motivation. 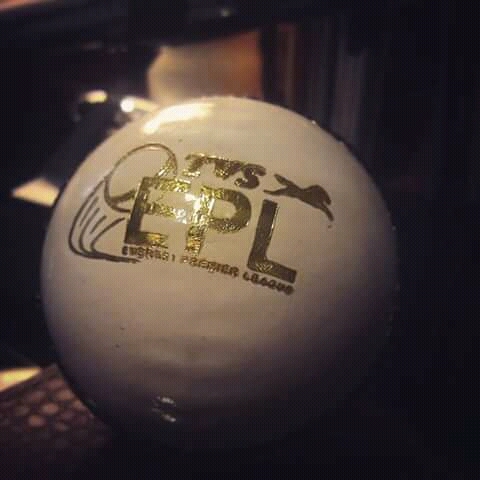 This season of EPL has come up with gigantic investment and sponsorship. This will surely help them to reply to those who come at them with a censure of cricket will earn you nothing. If you had gone through the story of emerging star ‘Pawan Sarraf’ then you would find how these type of event will help to shift the lookups of your family and relatives about your cricketing craze. Every dream begins at this age. This tournament will surely change the fortune of too many youngsters likes Pawan. 3. Playing with the overseas and senior cricketer. – In my view, the biggest benefit of the EPL is that upcoming Nepali cricketers will have the experience of playing with national legends. Could we ever imagine the likes of Puspa Thapa batting alongside Paras Khadka? How much will it help to Pawan Sarraf to sharpen his bowling skill by bowling to Gyanendra Malla in net for a couple of weeks? The amount they learn is immense, they will absorb so much just sitting next to them. Senior play will teach them how to cope with pressure and will give them advice on how they can develop their cricketing skills. Simply watching senior players preparing pre-game will might be an eye-opener for them. 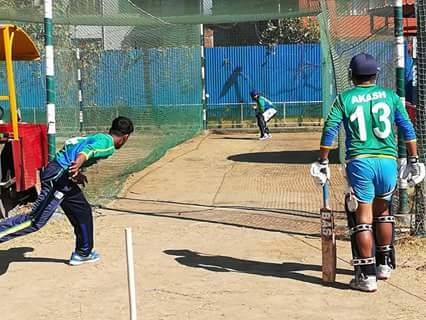 The intensity and focus in senior players training will be beneficial for youngsters to uplift their cricketing way. I strongly believe cricketers improve when playing against strong opponents. With three overseas cricketers and at least two grade ‘A’ players permitted per squad, it increases the competitiveness and quality of the tournament. Prior to the EPL, the only chance for an upcoming Nepali cricketer to face an international standard opposition was to play international cricket. The EPL will offer this luxury prior to get to that stage. It, therefore, allows them to be prepared when arriving on the international scene and gives them a taste of what to expect at the highest level. Having such a competitive tournament in terms of player quality, means statistics taken from the tournament are representative of the player’s caliber. I’ve lost count of the number of times we’ve seen a cricketer with inflated stats after feasting on weak opposition, to then be exposed on an international stage. – The EPL will give a platform for cricketers in Nepal to express themselves. It’s a chance for them to show the selectors what they are made of, and to prove themselves against some quality opposition. This league will help to develop and nurture talent, but it also propels the cricketers into the spotlight, similar to how the Indian Premier League (IPL) brought out Virat Kohli and Rohit Sharma etc. Both were already talented cricketers, but the IPL gave them the opportunity to express themselves on an international level, and the Indian selectors took notice. Young Indian cricketers go into the international cricket sphere having played under pressure numerous times, and thus they are familiar with strong opponents due to the IPL. 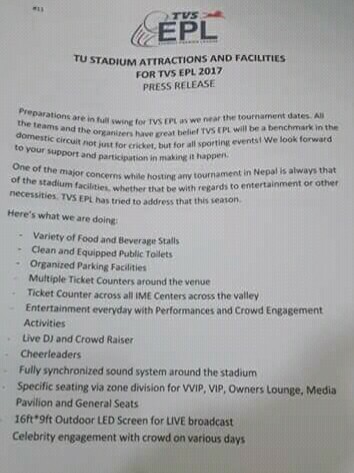 I believe the EPL will have a similar impact on Nepal cricket, thus benefiting Nepal cricket as a whole. 5. Local people attention towards domestic matches. 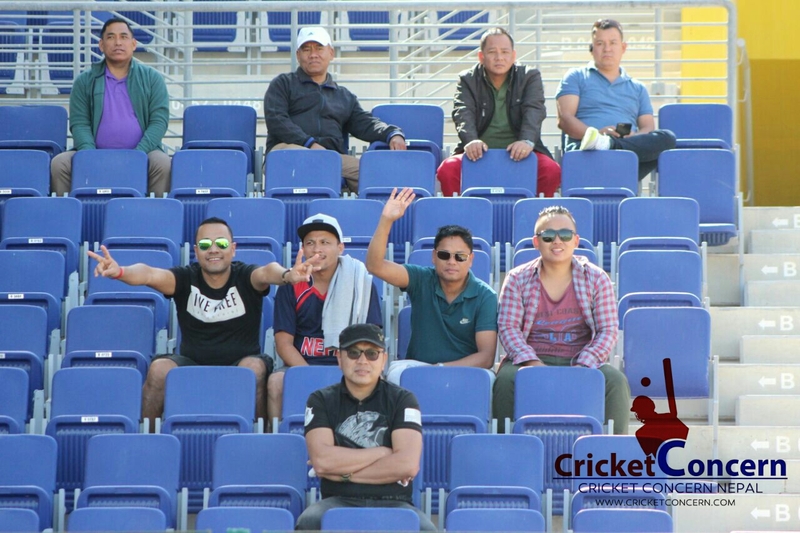 – The world had already seen Nepalese people craze for cricket through WCCL 2015-17 some home matches. 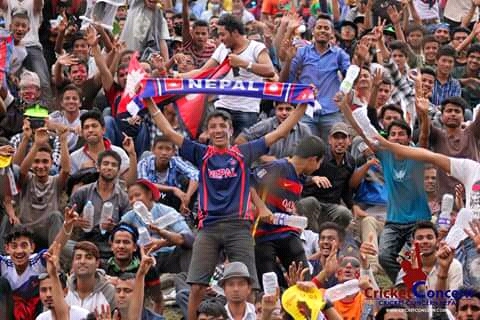 Even ICC couldn’t restrict themselves from admiring Nepalese fans craziness for cricket. Stadium used to be stuffed during international matches but when it comes to domestic matches, only a few fans used to turn in into the ground to watch the match. This might be due to the poor facility and less advertisement of the event so organizers have come up with the strong concept to overcome this issue. They had already announced several modalities of attraction and rigid endeavor to provide the best possible facility which you can check below if you haven’t check it yet. So with 16 ft x 9 ft board casting screen and AP1 as the TV board casting partner, this EPL is expected to change the way of people viewing Methodology to the domestic tournament. These are something which we can illustrate in a word. 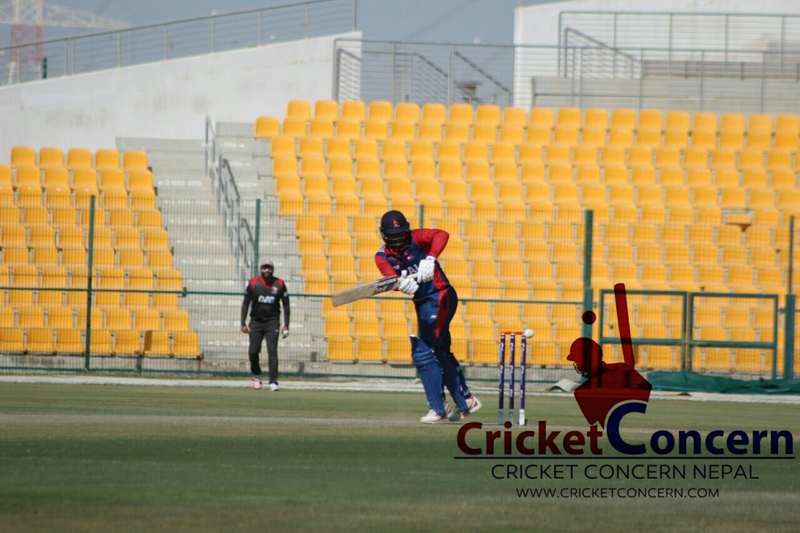 Besides this tournament has carried the feelings and expectation of many cricket enthusiastic fans of Nepal. This has carried the burden of many youngsters future whose cricketing passion is on the side currently because cricket hasn’t been professionalism in Nepal completely. This is the narrow source of hope to the numerous Nepalese fans who already got frustrated by Nepal cricket team bad patches. 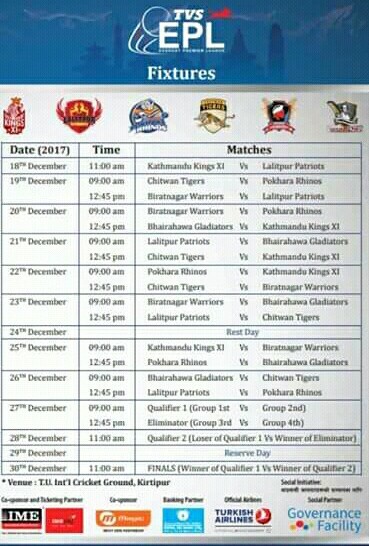 Everest Premier League will kick off from 18th of December so we would like to request all of you to turn in into the ground at least for a single match to witness the festival of Nepalese cricketer and fans.